It was a great day of golf and a great day of socialising! Twenty nine (29) seniors from FGC, Pac. 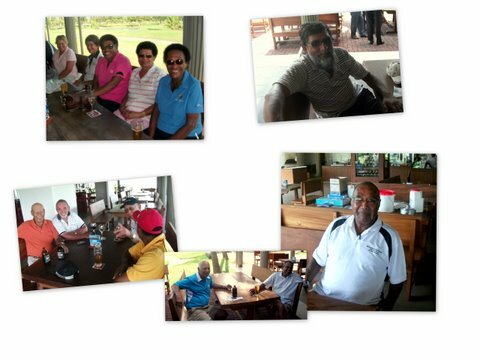 Harbour and the West converged to Denarau golf course on Thursday 17th Nov. for an individual stableford golfing event. The weather was really fine with absolutely no sign of the wet stuff according to one of the tournament organisers, Malcolm Paterson. Good golf scores were recorded by the winners. Ravindra Lal from the FGC was the overall winner of the tournament with 45 points, followed by a guest player, Tom Fox on 42 points; while Vidya Lakhan, 40 points, took the 3rd place on countback. Lady winners were dominated by guest players. Laura Cummings, 43 points, was the overall winner in the ladies’ division, while Olivia Bell, 41 points, and FSGA member Mrs. F Rickman, 40 points, earned themselves second and third places, respectively. The four N T P prizes were won by Tippiat Hussain, Iswar Nand, Abdul Hussain and Sulu Brookes. As is customary when reporting the Most Golf winner, he and his score shall remain nameless but he was an N T P winner!! 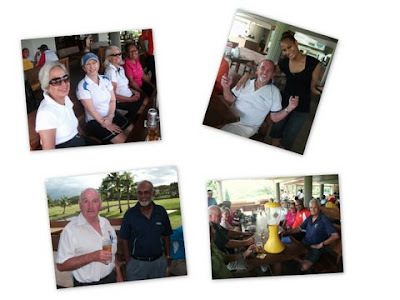 Joy Leslie, a Nadi resident took the opportunity to become a FSGA member and was welcomed into the fold.